The first time that I acted on my suicidal thoughts landed me in the hospital emergency room. “Do you really want to stay with all the crazy people?” The person who said those words to me was a mentor and a church leader. Those words still echo with me to this day. It felt confusing because I didn’t feel “crazy.” I just felt a constant overwhelming sense of hopelessness, worthlessness and a deep sadness that I couldn’t shake off. Was this what crazy felt like? I wasn’t sure. I had no name for what this was, but somewhere inside, I knew I needed help. After that, I had my first encounter with a mental health professional. I didn’t know that such people existed, but she helped me to define what depression was and how I could get help. Despite the validation by naming the depression and taking the first steps to get help, I walked away from the hospital with shame. I felt that I had to hide my mental illness. I struggled in silence with my depression. I continued to suffer severe migraines. I used medication to numb the pain but also to prevent myself from feeling. It felt like I was constantly drowning in waves of shame pushing me further and further down. I attempted suicide two more times. Without help, I knew that I would not make it. 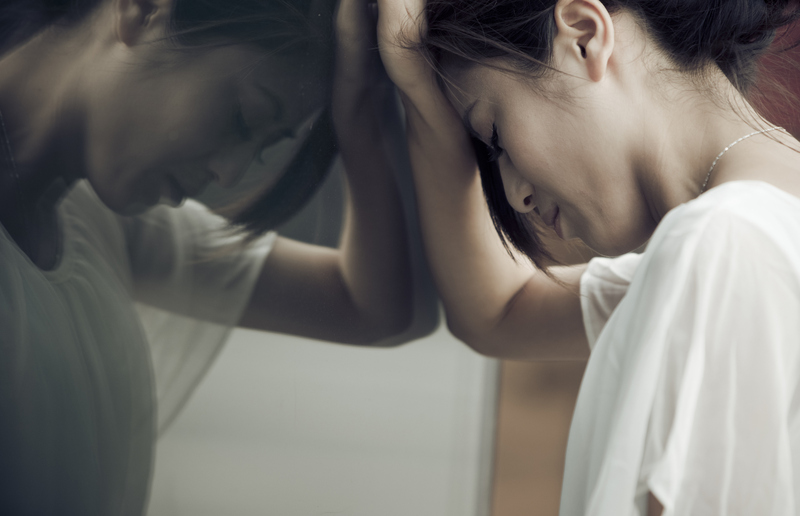 For Asian Americans aged 15-34, suicide is the second leading cause of death. After much encouragement and support from friends and my faith community (a different one than before), I started seeing a therapist and taking medication to treat my depression. It wasn’t an easy journey – I tried several different therapists before finding one that worked for me. I also had to do the same with medication. The biggest hurdle, though, was to rise out of the shame and stigma of mental illness. After sharing my story, I was able to help friends through their own battles with mental illness and more importantly, to speak the truth that they were valued and worthy. I still feel the sting of shame as I continue my lifelong battle against depression, knowing that sometimes the lies will speak louder than the truth. I don’t want anyone to feel the way that I did. I don’t want anyone to feel like they can’t get help. Are you feeling the weight of shame? Are you hearing the lies that depression tells? I’m here to fight with you. I’m here to speak the truth and remind you of your worthiness and beauty. I’m here to rise out of the shame with you. You are not alone. This was originally posted on BlogHer.